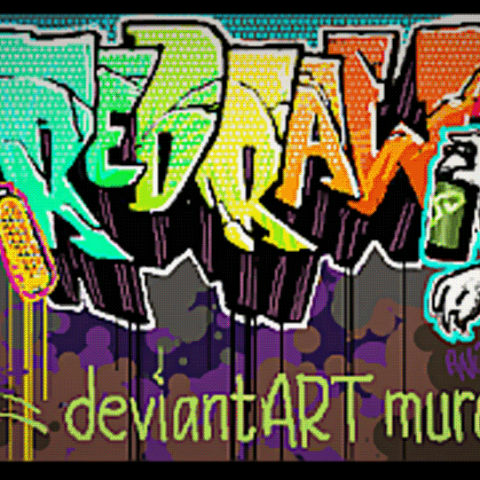 DeviantART, the world’s largest online art community, with 20 million registered members, has announced the new and improved deviantART muro featuring Redraw, the latest enhancement added to its HTML5 digital drawing application. With Redraw, people using deviantART muro can now record and replay their digital drawing sessions with a click of the newly embedded playback button. This cutting-edge technology provides artists an insightful method for analyzing their artwork and visually communicating with their audience. By opening a digital window into the step-by-step creative process, Redraw gives artists and art enthusiasts a critical learning resource that was never before available. DeviantART muro is a proprietary raster program created by Devious Technology, deviantART’s in-house development team, offered as a free digital drawing application publicly available through the deviantART website. In turn, a variety of artists have used deviantART muro to create original artwork for both personal collections and commercial clients without having to pay for expensive software. In the beta stages of its release, artists have created over 2.5 million deviantART muro-related “deviations” (original works of art). As the first of its kind, Redraw offers people a way to view the stylistic process from beginning to end – speeding up or slowing down digital brush strokes – to observe each step as a piece of art is created. Amateur artists, DIY craftsmen and highly skilled professionals all benefit from deviantART muro Redraw by tracking artists’ movements as they unfold, providing both education and entertainment for the viewer. Artists turn to deviantART for all the tools they need to display, market, offer and receive critical feedback about their work. With millions of creative minds visiting the site each day, deviantART continues to develop products that reinforce its position as the premier online resource for artists of all skill levels.